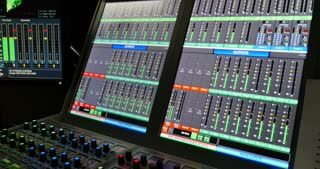 Search Results for "music sound board levels"
Close-up of female fingers turning fader knob on audio mixing desk. Lights of peak meter indicating volume levels on analog mixer console. 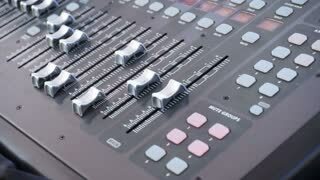 A shot of a sound board in a studio with levels moving up and down. Green LED display showing pumping sound levels. 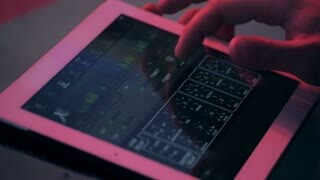 Music studio production. remote control sound with buttons, knobs, levels for a music DJ at a public event. Defocused green and blue LED showing pumping sound levels. Music studio production. Handheld shot with stabilized camera. Flashing lights and input cables in sound board of electronic music studio. Shot of the levels on a sound mixer bouncing up and down. 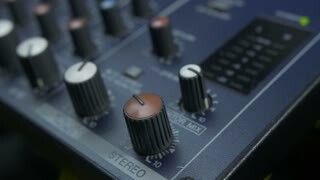 Macro shot of the levels on a sound mixer. Flashing orange light with input cable. Mute button. Closeup of sound module in music studio.